Sapphire Falls in one word? Tension. The tension McDonald conveys in her writing takes on a role as important as the storyline and characters themselves. It is this that keeps the reader turning the pages and McDonald is vigilant in leaving no stone unturned or question unanswered throughout. 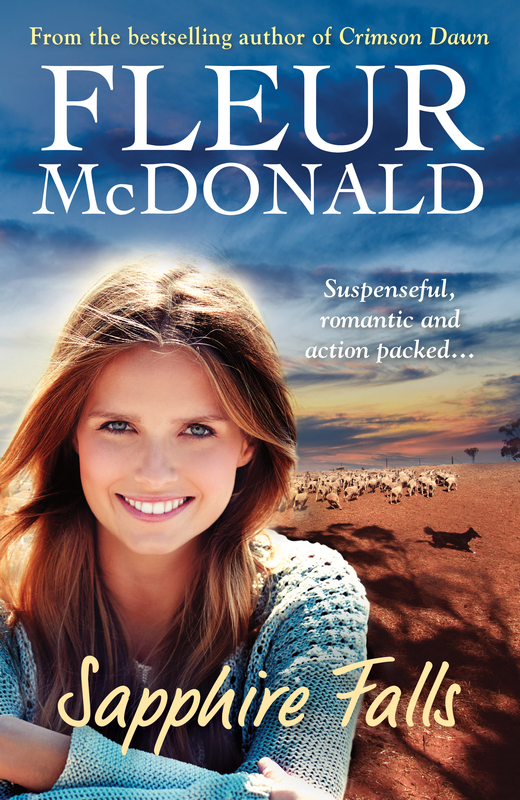 Fleur McDonald weaves a mysterious story of suspense and intrigue with Sapphire Falls, with an admirable lead female character in Fiona, who despite everything thrown her way remains steadfastly true to herself and her country roots. Fiona is certainly a character of substance and though we see her resilience, McDonald also offers us a depth of vulnerability in Fiona that is heartening. Fleur dropped into AusRom Today recently to chat about Sapphire Falls, read our interview with Fleur here.